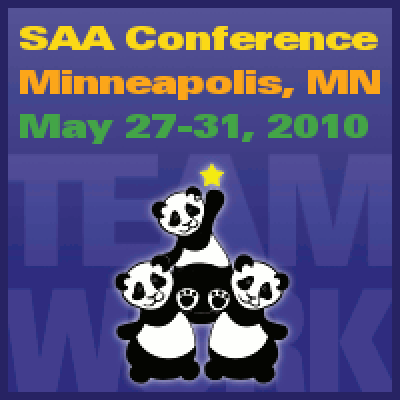 I remember, as a young teacher, reading about the SAA conference and thinking that it might be a good idea to go. I knew there would be interesting speakers to hear, important people to meet, and ideas to stimulate my growth as a teacher. And yet, for many years, I did not go. The cost of travel and lodging was a hardship, but the primary reason was that I didn’t have anyone to go with. What made me decide to attend my first conference? It was the invitation from a friend and her suggestion that we room together. Suddenly the prospect of attending a conference no longer seemed daunting. Not only was I going to nurture my soul, I was going to have fun! My friend, Lucy Shaw, related a similar story about her first conference. Several years ago, her mentor, Judy Offman, created a conference opportunity for her. Judy made all of the arrangements. When they arrived, Judy advised Lucy as to which sessions might be most interesting and beneficial to her. Divide and conquer was their motto! They ended each day by sharing what they had learned. It was as if each had attended twice as many sessions. “I loved the experience of mentoring Lucy at her first conference. That was a very special time for both of us. There were many teachers that I had talked about and I could not wait to introduce her to these people. It was fun and fulfilling to share our ideas together every evening and learn from each other. 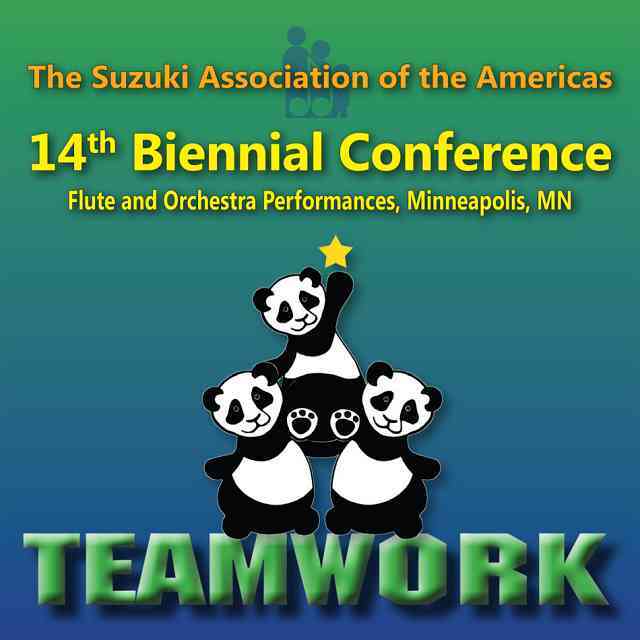 “I try desperately to encourage every Suzuki teacher that I train to attend the very next Conference. 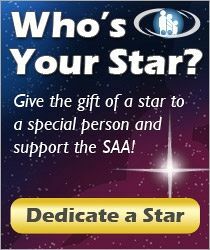 I give helpful ideas about saving money each month so that they will be able to attend the conference. I feel that teacher training classes and institutes are wonderful learning venues, but nothing can have the same impact on teachers and their teaching as attending every Conference. Once a teacher attends the first Conference, they will be hooked for life. The theme of this year’s conference is teamwork. One way we can model this concept is if each seasoned conference attendee serves as a mentor to someone who has never had the opportunity or taken the initiative to attend a conference before. Resist the comfortable temptation to room with an old friend. Open the door of your hotel room to someone you know who has never attended a conference before, someone that might have a bright future in our Suzuki community. Christie Felsing, our 2010 Conference Coordinator, is excited about the idea of having many first-timers accompanied by veteran mentors at the conference.